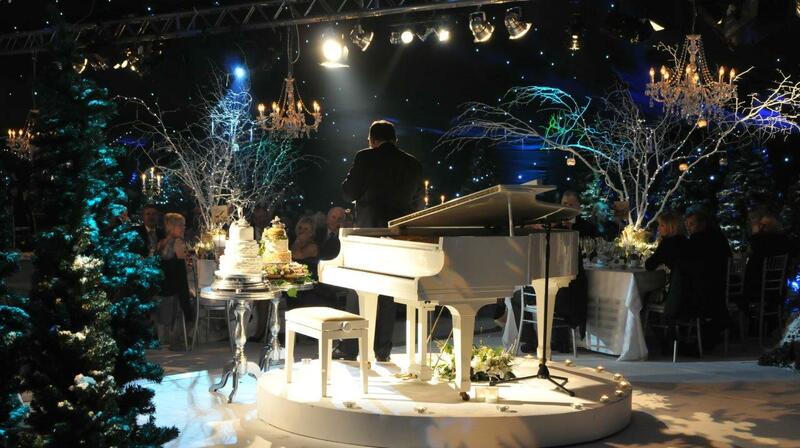 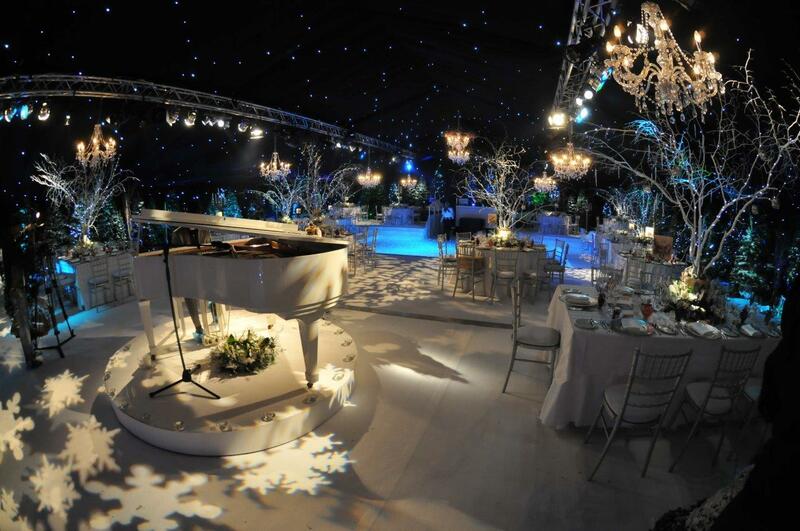 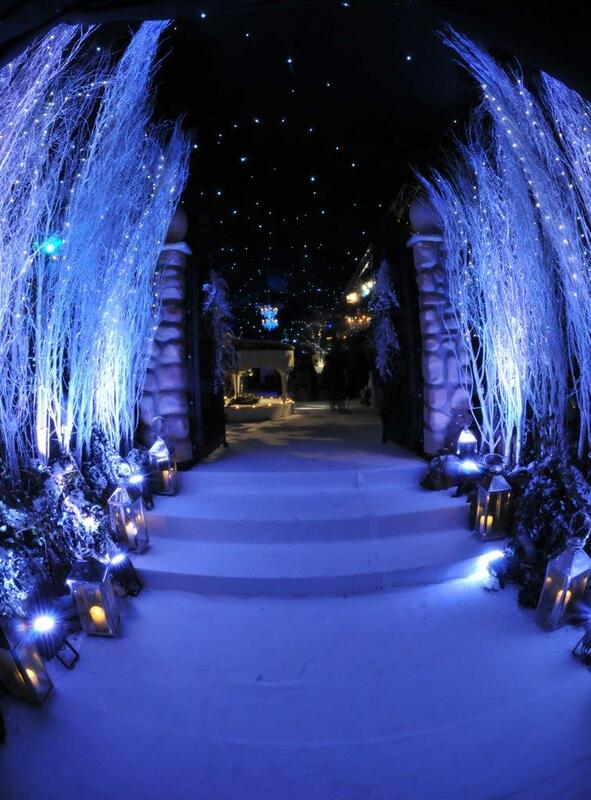 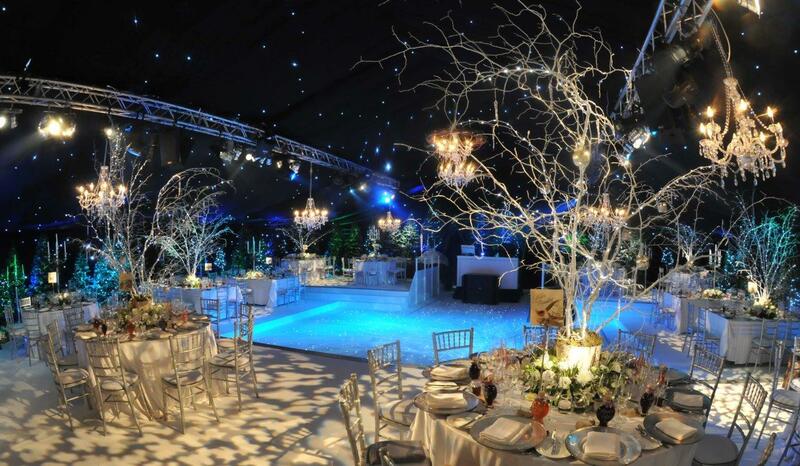 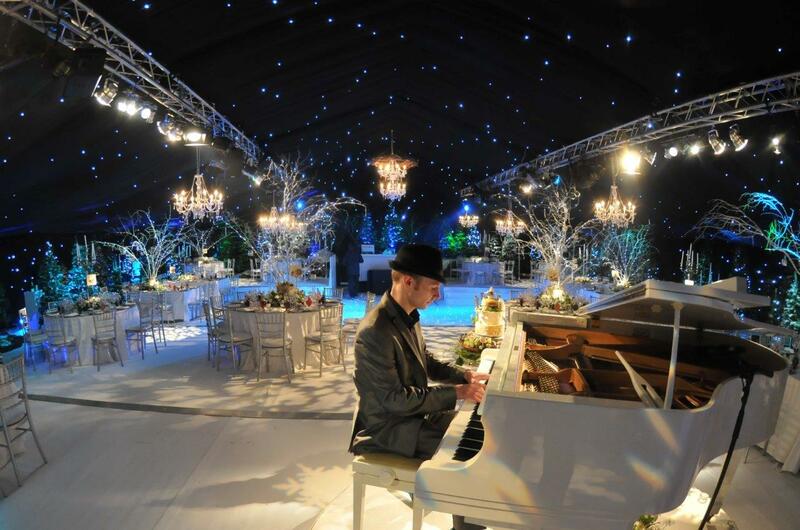 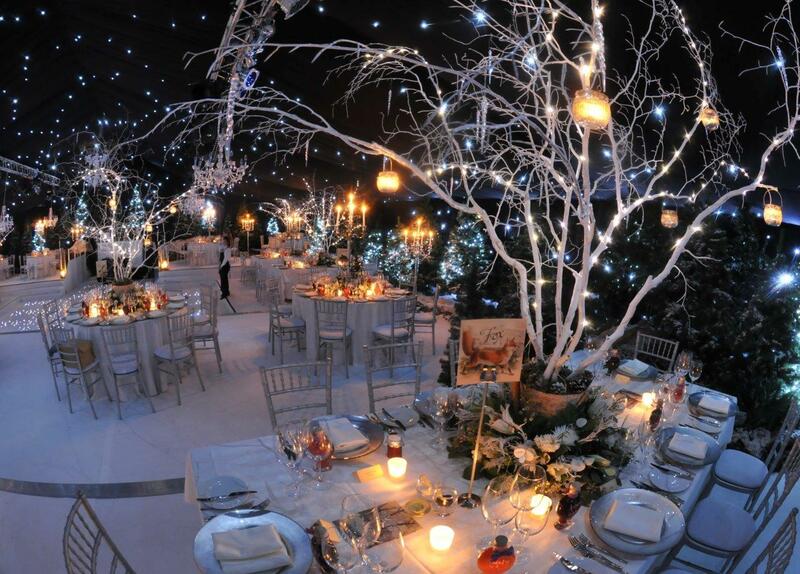 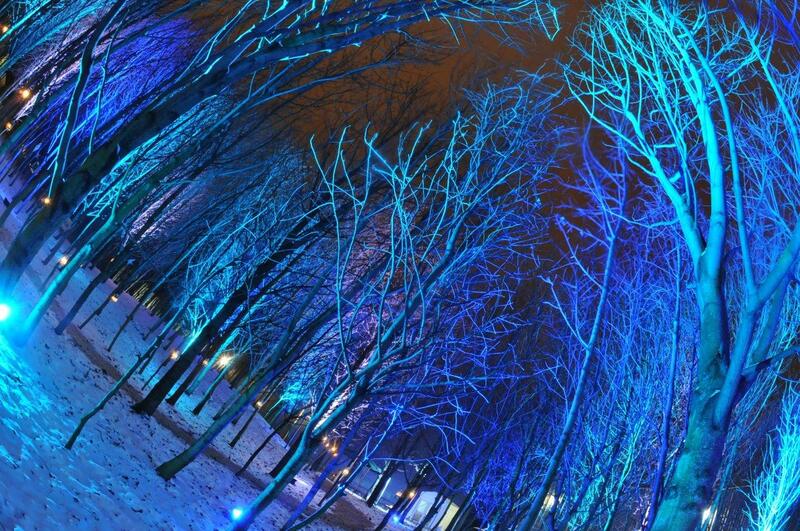 In the grounds of their home, we built a beautiful winter wonderland for a couple to have their wedding reception. 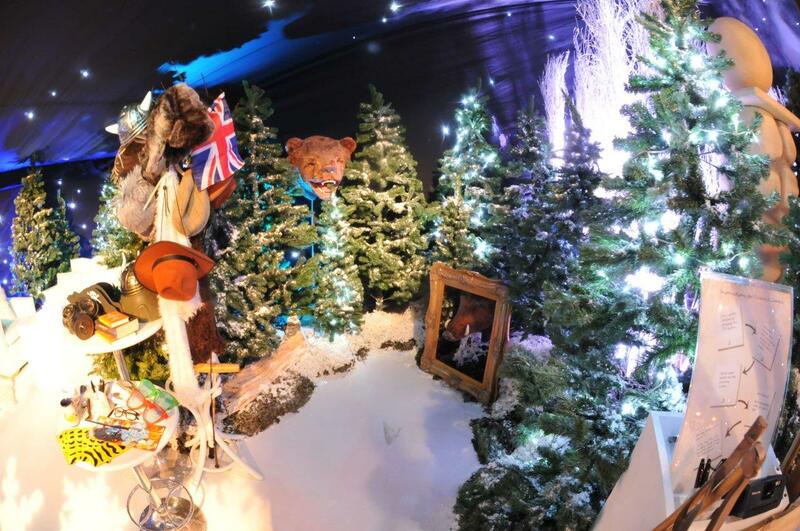 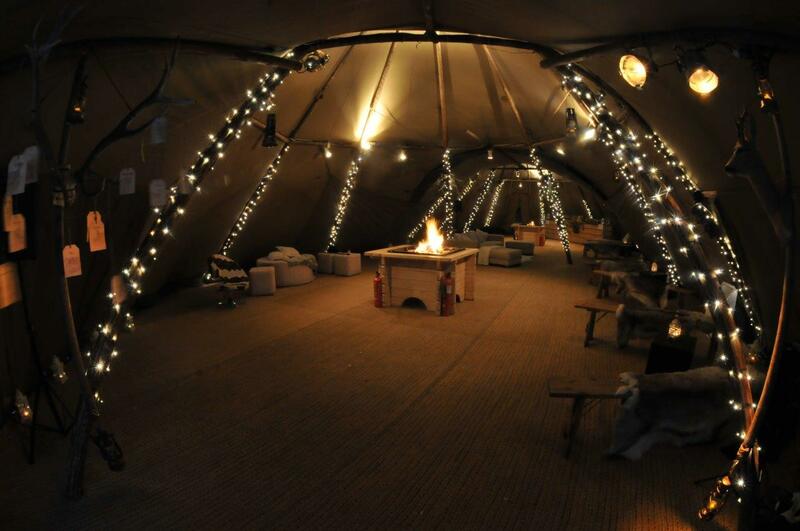 The event was accessed via a woodland trail, candelit walkways and a teepee tent full of animal skins, burning fires and warm welcoming drinks. 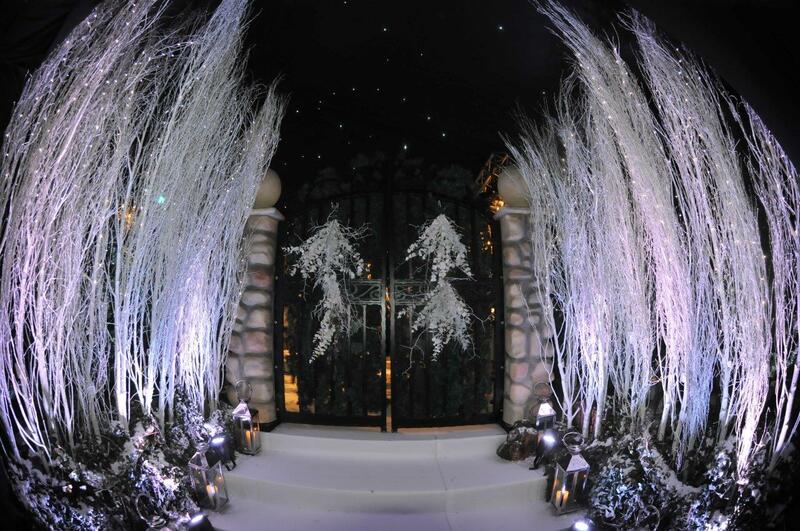 Giant gates then revealed the main event, a snowy, wintery wonderland, complete with falling snow, chandeliers, hundreds of trees and an ice dance-floor.